One of the most crucial factors that determine your Magento store’s success is customer satisfaction. Keeping this in focus, one of the quickest ways to satisfy your customers is by adding Magento Chat option into your Magento e-commerce store. See: Starting an Online Store – Look No Further Than Magento! You may lose customers if you fail to answer their queries. Hence, the sooner you answer their queries via a Live Chat, the more inclined they will be towards buying from your store. If you have been stalling the idea of adding Magento Live Chat, now is the best time to do it, because the holiday season is in full swing. 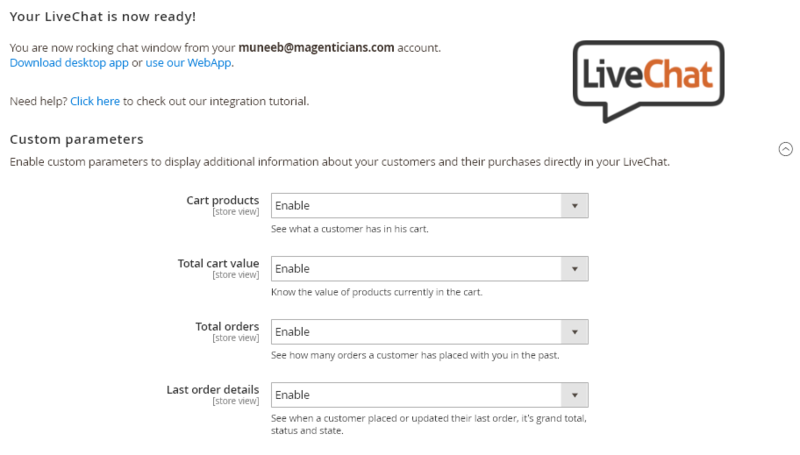 Today, you will learn how to add Magento Live Chat into your store. 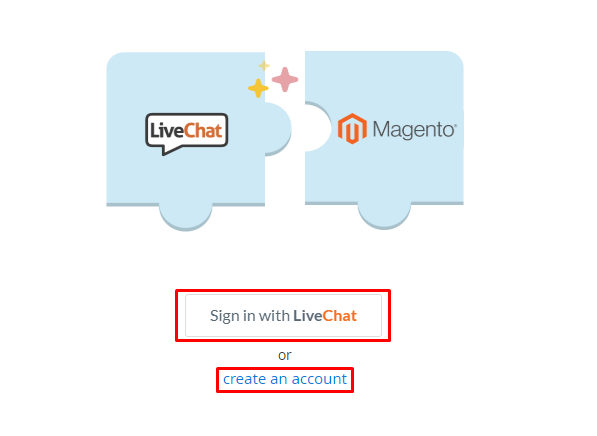 I will use the Magento Chat extension by LiveChat for this tutorial. This tutorial covers the integration of Live Chat on both Magento 1 and Magento 2 versions. Download the Magento Live Chat extension and extract the downloaded file into the root directory of your Magento store. It’s time to sign in to your LiveChat account. If you don’t have one, create an account. The above result means that you have installed and configured Magento Live Chat extension successfully into your Magento store. Download the Magento 2 Live Chat extension and unzip the downloaded file into app/code directory of your store. 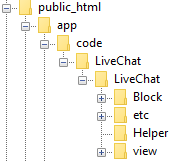 After unzipping, you will get the namespace and module name as magento-livechat-master. Rename them as LiveChat. After installing Magento 2 LiveChat extension with the method of your choice, either manually or via CLI, you have to run some CLI commands in the root directory of your store. Go to Stores → Configuration from the admin panel of your store and Click on Settings under LIVECHAT. If you already have an account, use your credentials to sign in. Congrats! You have successfully installed and configured Magento 2 Live Chat extension on your Magento 2 store. Adding Live Chat feature to your Magento store can generate more sales because the more satisfied your customers are, the more loyal they will become. After following this step-by-step guide, you must be able to add Magento Live Chat extension into your e-commerce store . If you still want to discuss anything related to this tutorial, just drop your comments below. Q1. Is the mentioned Magento Live Chat extension free? They offer a free trial which ends after 30 days. To continue with the extension, you have to check out their pricing plan. Q2. Adding Magento Live Chat extension can boost sales? Yes! Because the more satisfied your customers are, the more you will get sales. By using the Live Chat option on your Magento store, the customer(s) can get the answer of their queries, thereby saving their time, and in return, it will increase the chances of more sales.